You are here: Home / Accommodation / What a Bay & Beach Blessing! 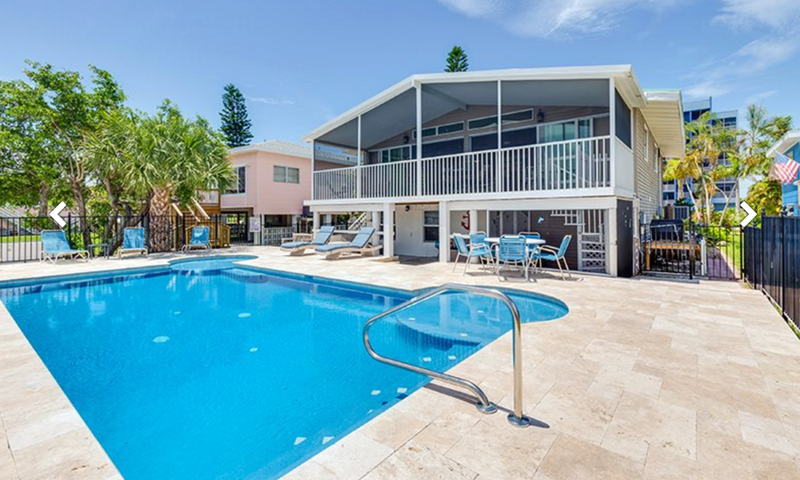 This lovely vacation home at the north end of Fort Myers Beach was recently renovated with a new pool and private boat dock on the Bay. 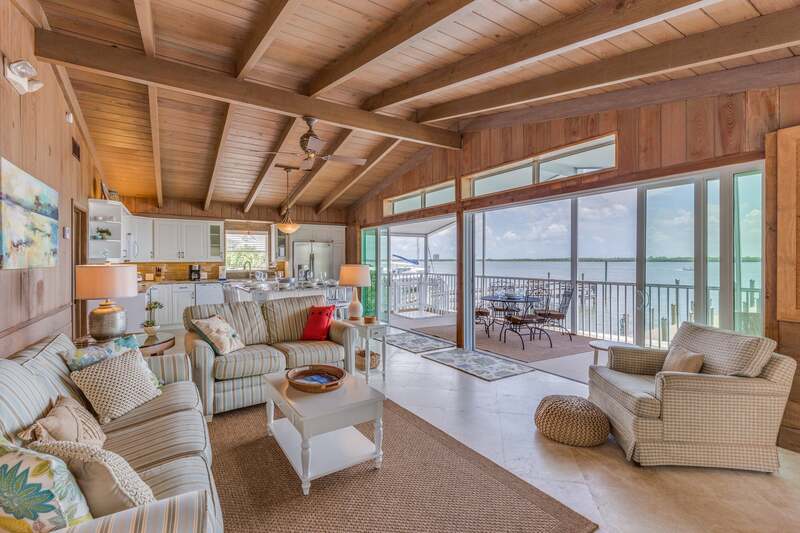 It is 500 feet from barrier-free access to the beautiful Gulf Beach. It’s a wildlife lover’s paradise! Watch dolphins frolic, manatees swim by, and a host of native birds stopping by to visit. Check the availability of this and all our homes! We’d love to help you plan your perfect vacation with us — order your FREE VACATION GUIDE to Ft. Myers Beach. 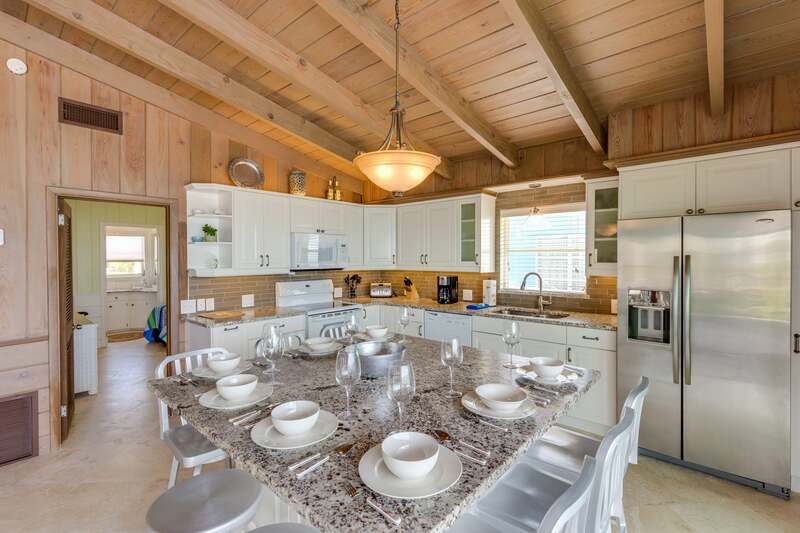 Enjoy amazing sunrises from your 300-square-foot lanai and spectacular sunsets on the beach across the street. This 2-bedroom 2-bath home has a new kitchen with granite counter tops and marble floors. 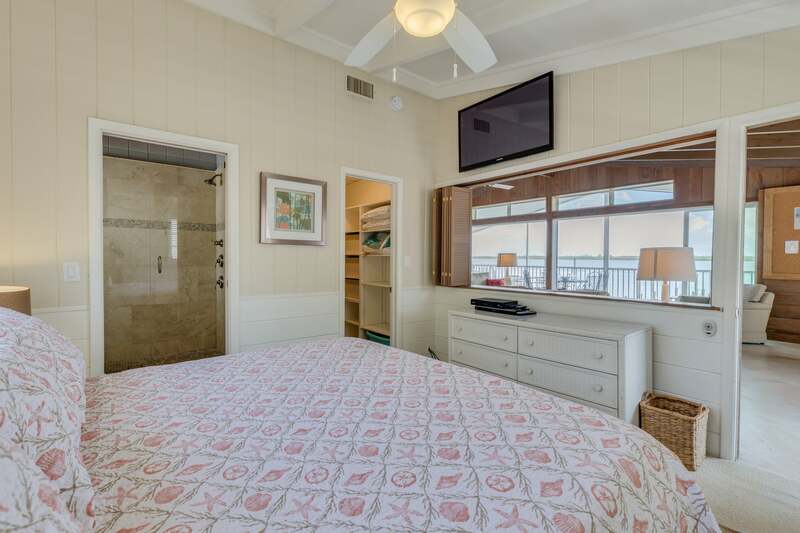 The master suite has a view of the bay and a stunning new master bath. Times Square and the Fort Myers Beach Pier, for shopping & entertainment, are only a half-mile away. Bay & Beach Blessing is located on Estero Blvd., just south of the Pink Shell Resort on the bay side. There are plenty of outdoor activities for all — on the water and off. This house has a key lock box. You should receive a 4-digit code. Many vacationers have enjoyed our stunning home.